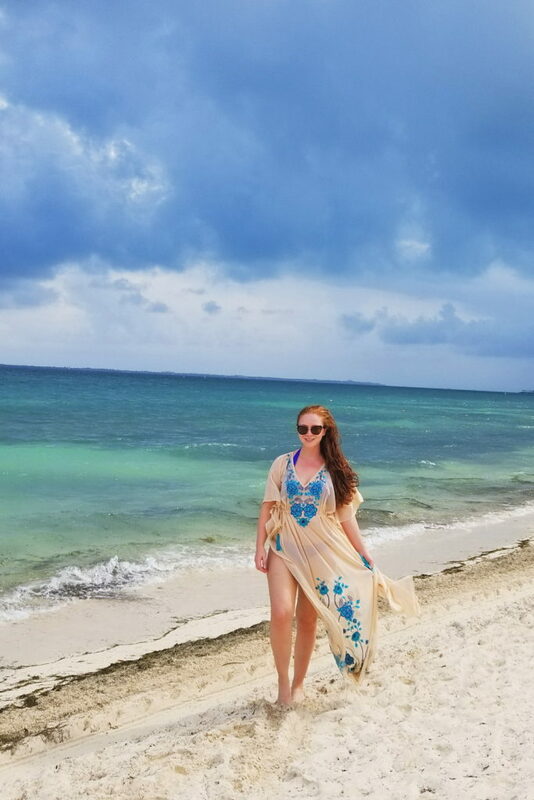 Our trip to Mexico last week was definitely one to share! 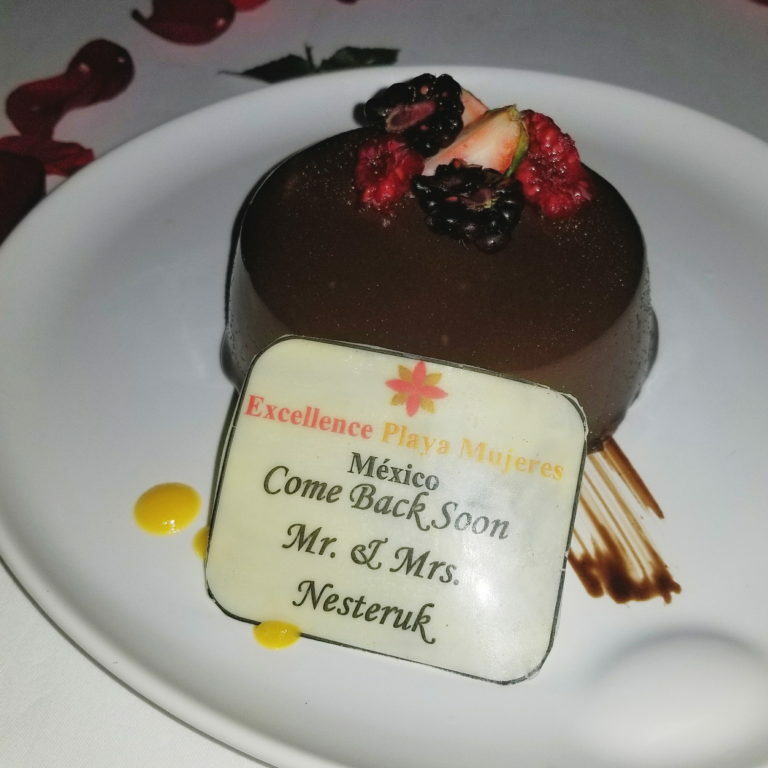 My husband and I travel to Mexico almost every year to celebrate our wedding anniversary. 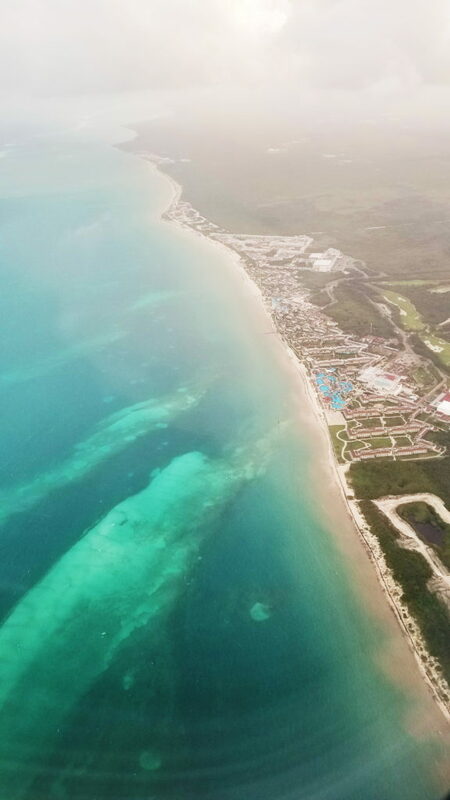 This year, we traveled in January to Excellence Playa Mujeres, just 45 minutes away from the Cancun airport. The Excellence came highly recommend and boy, were we impressed! 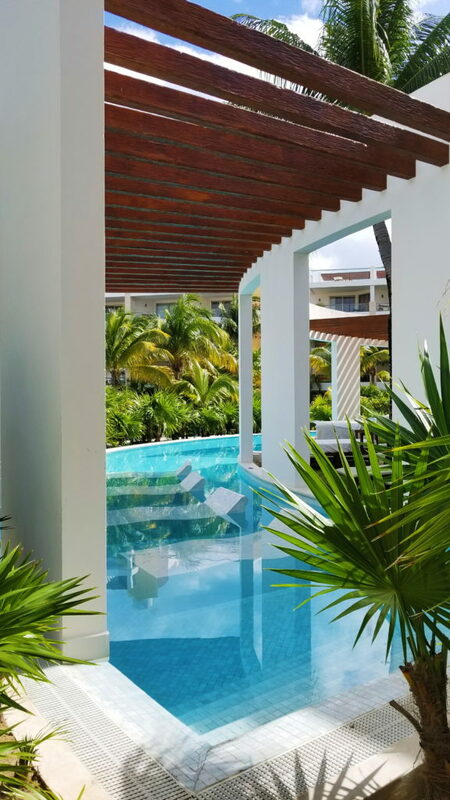 Everything about this resort – the food, the beach, the service – exceeded our expectations! We could not be happier with our trip! 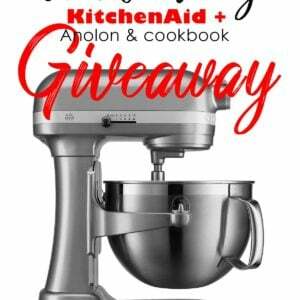 If you enjoy this post and would like to see more travel posts, just comment below and let me know! The service we received everyday was five-star! We honestly felt like royalty! From the room service, to the beach service and everywhere we went, we were taken care of and waited on hand and foot. 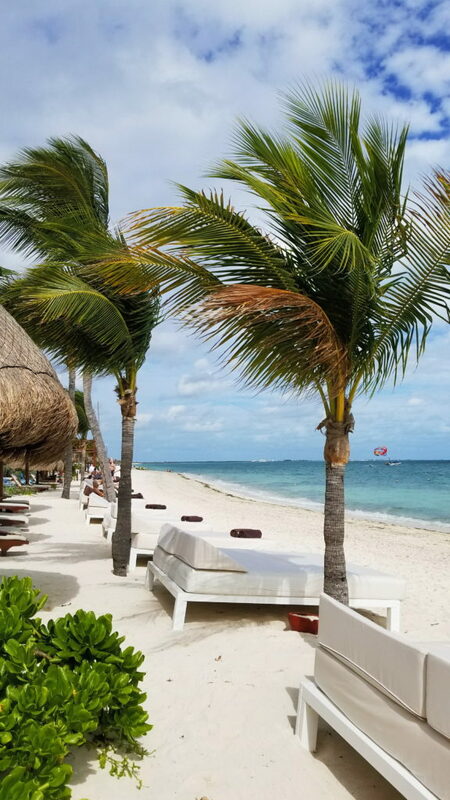 The beach was impeccable with soft, white sand; plenty of beach palapas, cabanas and Bali beds. 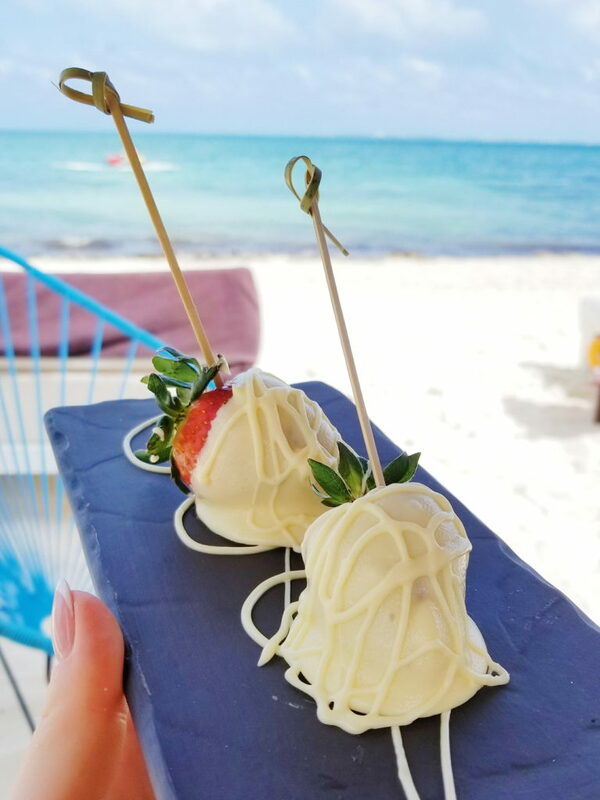 We especially loved the beach restaurants and the snacks brought around by our concierge, like chocolate covered strawberries and fresh fruit kabobs. 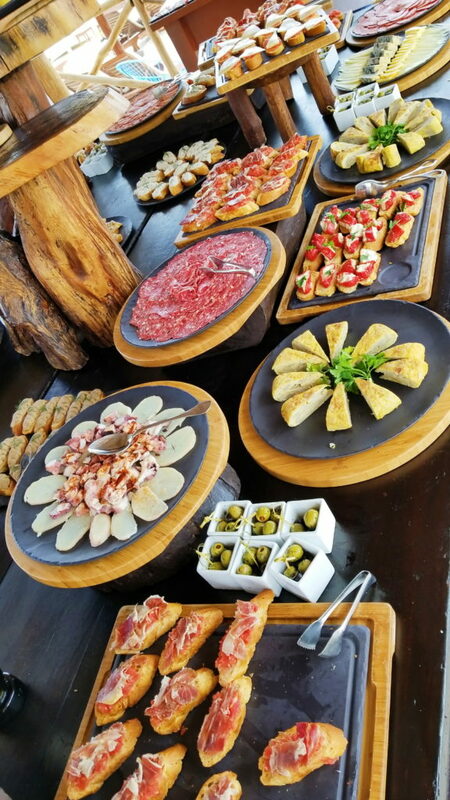 During our stay, we also got to experience their beach tapas bar, with a prosciutto cutting station! Talk about delicious! 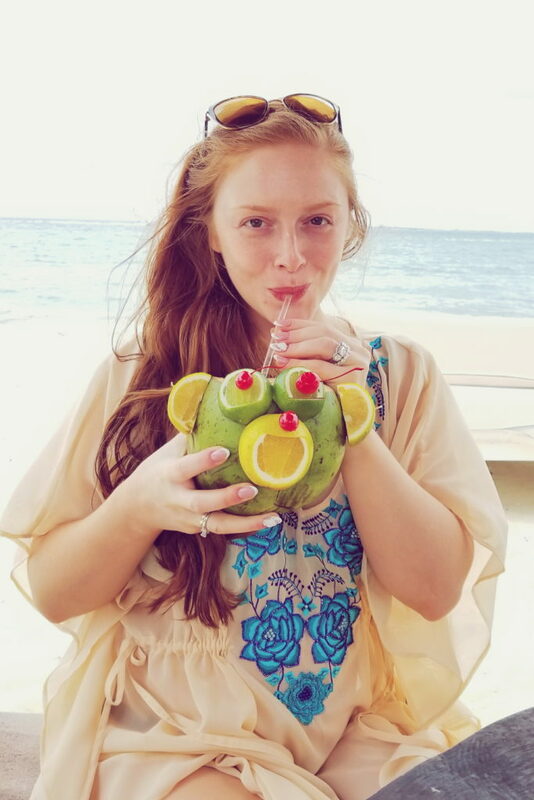 And these fun coconut drinks were the best! They are prepared right in front of you with fresh coconut and served plain or with coconut rum! 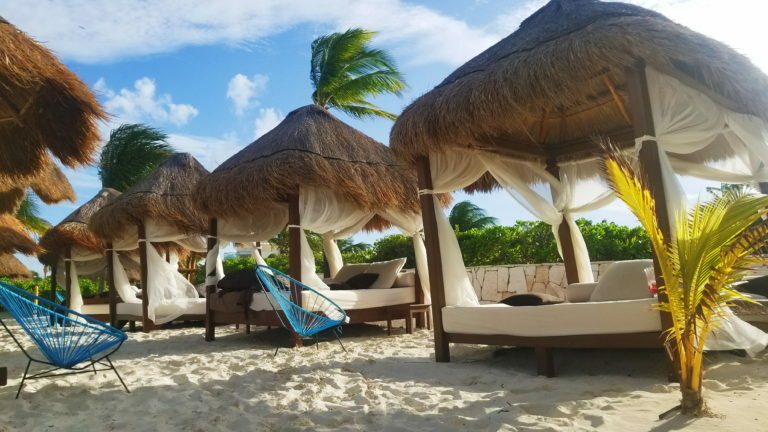 Where we spent most of our days – relaxing in one of these grande cabanas! The weather was surprisingly chillier than we expected but it’s the tropics, the weather changes daily! We made the most of every day! And now, for the food! I cannot say enough about how much we enjoyed the food at this resort! 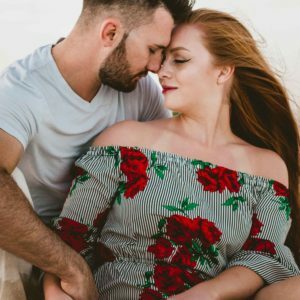 My husband is especially picky about his food and he loved everything! With so many restaurants to choose from, we never got bored during our 10 day stay! Even the room service food was excellent. 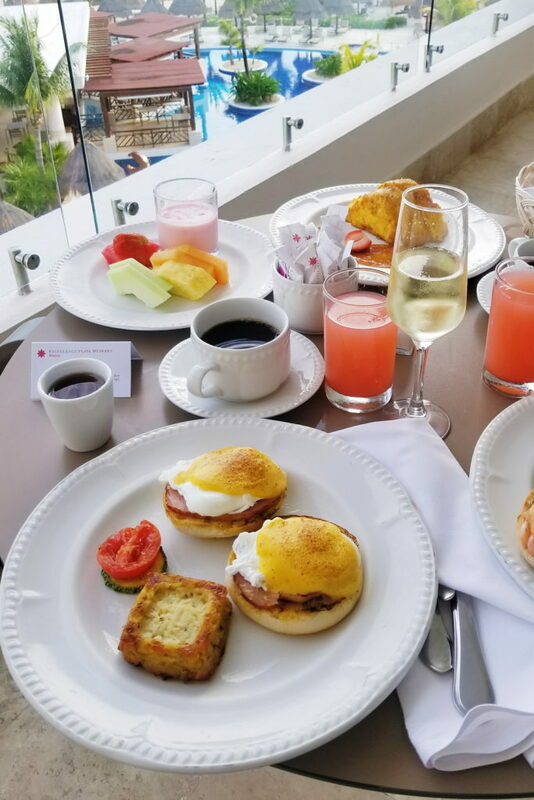 We ordered breakfast into our room every other day and it was always incredible and delicious! 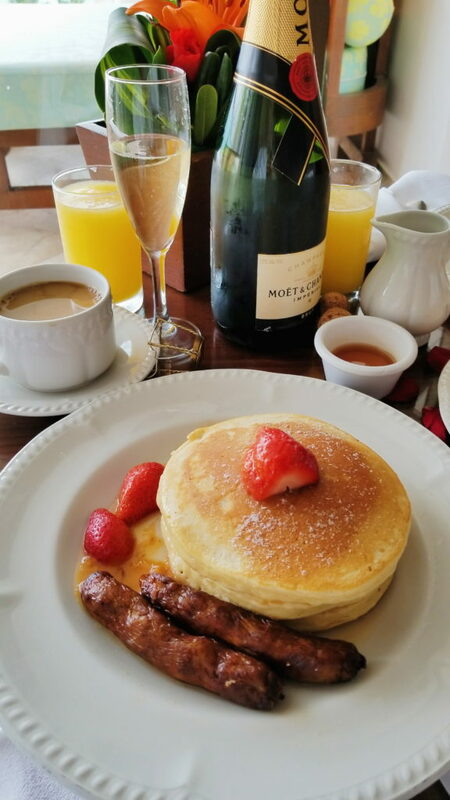 Moet with pancakes and eggs Benedict, anyone?! 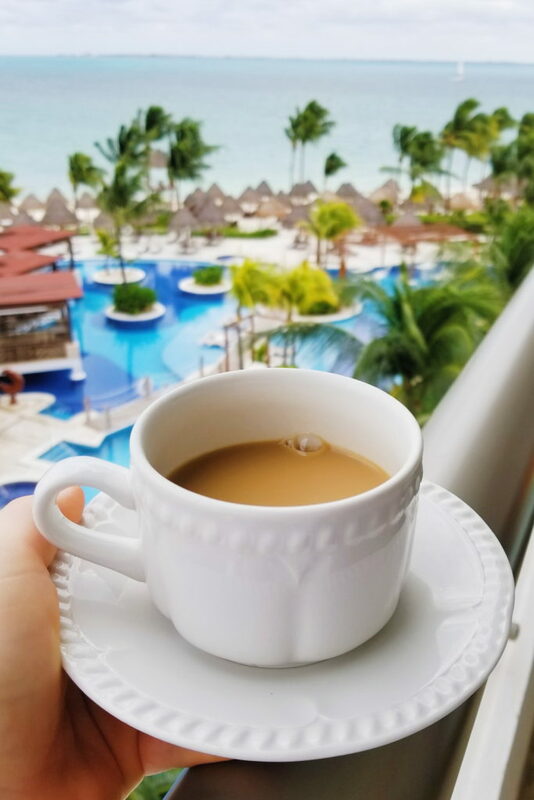 Can I have my morning coffee with this view every day?! 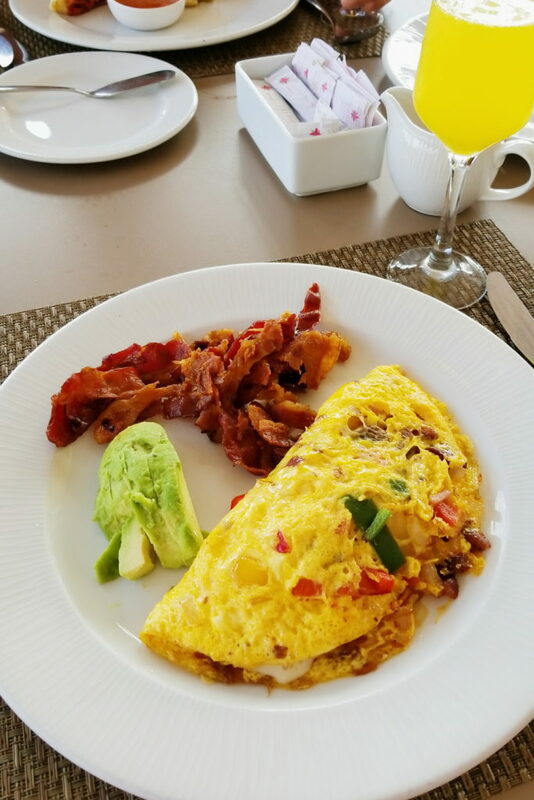 And the egg omelettes at the ocean-front breakfast place were bomb! We had so many wonderful and delicious choices for dinner every night! Our favorite was the French restaurant, Chezabelle. 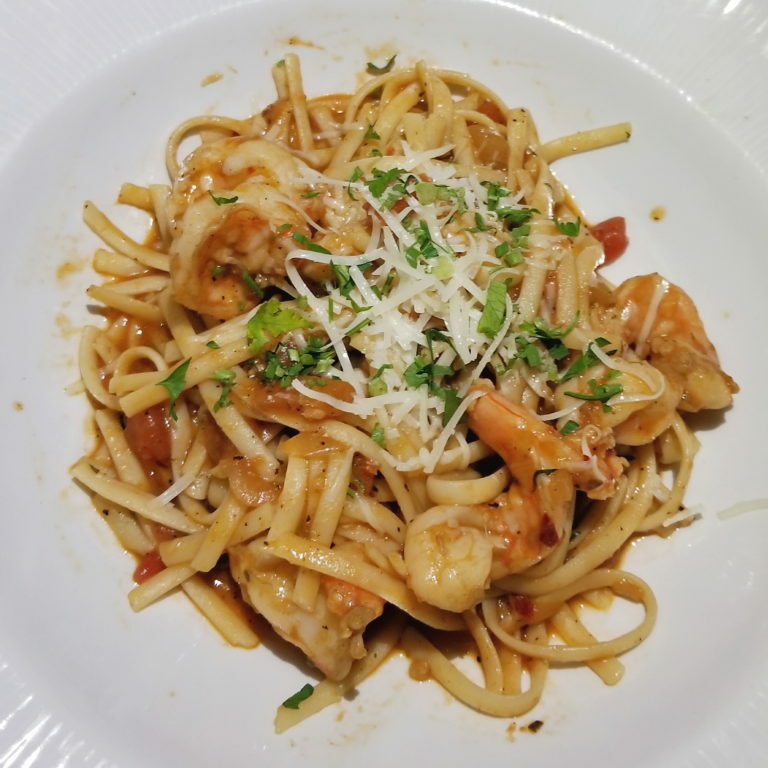 With a romantic setting, cozy seating and delicious food, we went there three nights out of our 10 night stay! 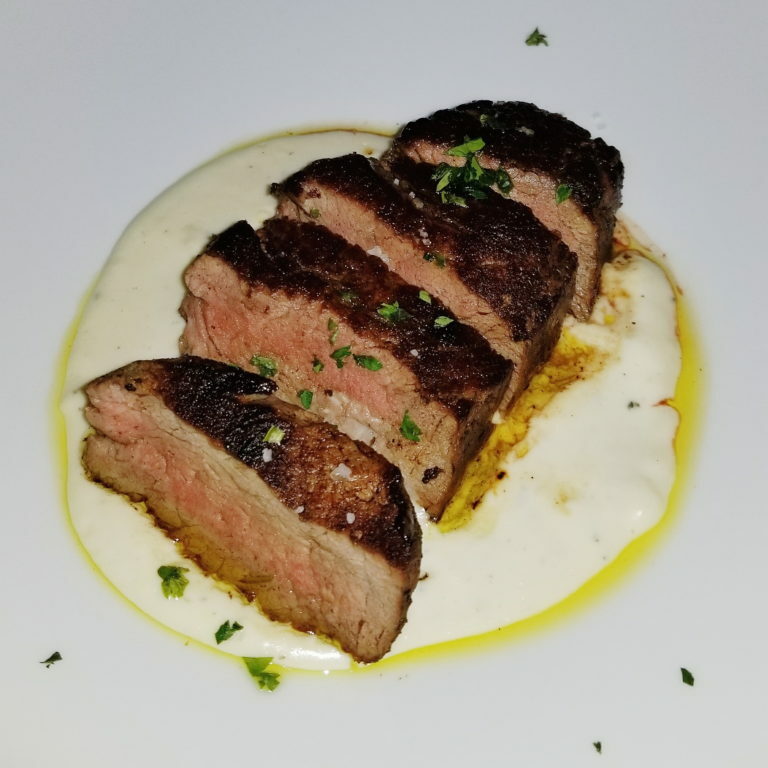 The roasted duck breast with puree and poached pears was my favorite! 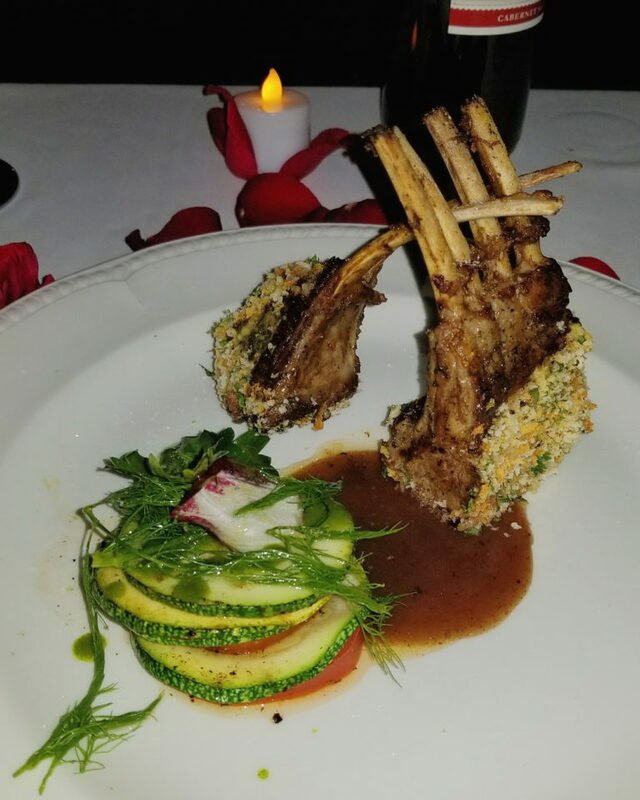 And my husband loved these lamb chops crusted with herbs. They also served an incredible escargot appetizer, salmon pate, creamy bisque and so many other delicious dishes! We also enjoyed the tapas restaurant, Flavor Market! We ordered the ‘chef’s special’ and were not disappointed! 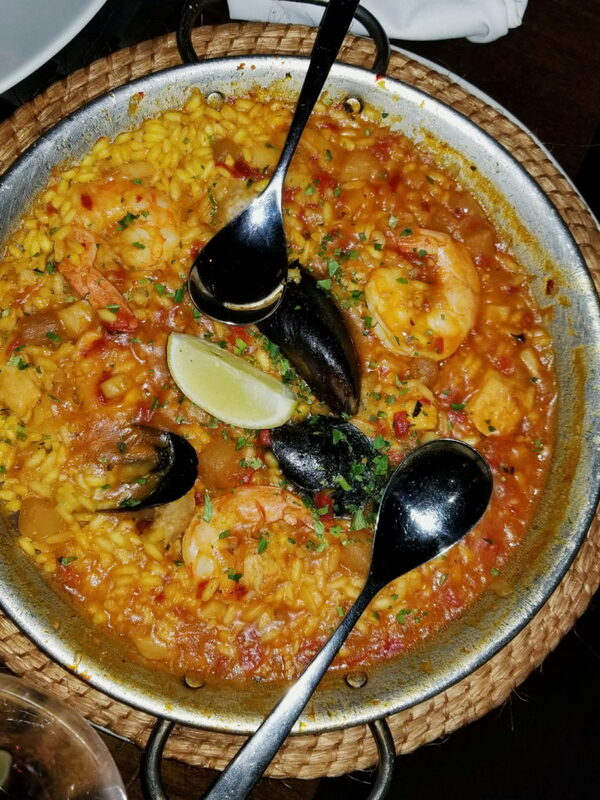 Fresh seafood paella, grilled tenderloin steak over blue cheese sauce, charcuterie trays and grilled octopus! 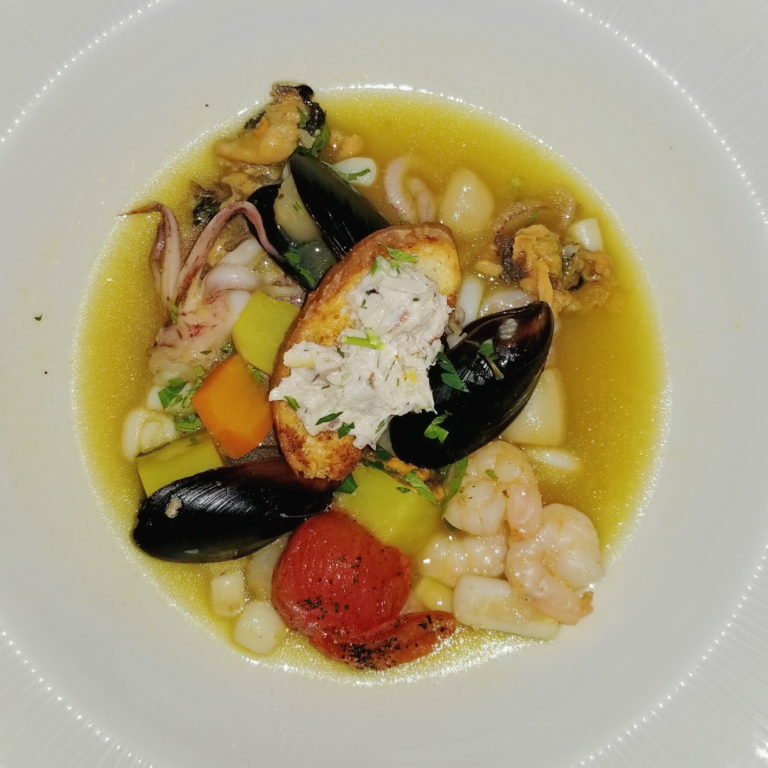 All this delicious food served with a flight of wine; that’s dining perfection that can’t be beat! If you love seafood, this resort is for you! We were spoiled with seafood for breakfast, lunch and dinner. And I mean spoiled! 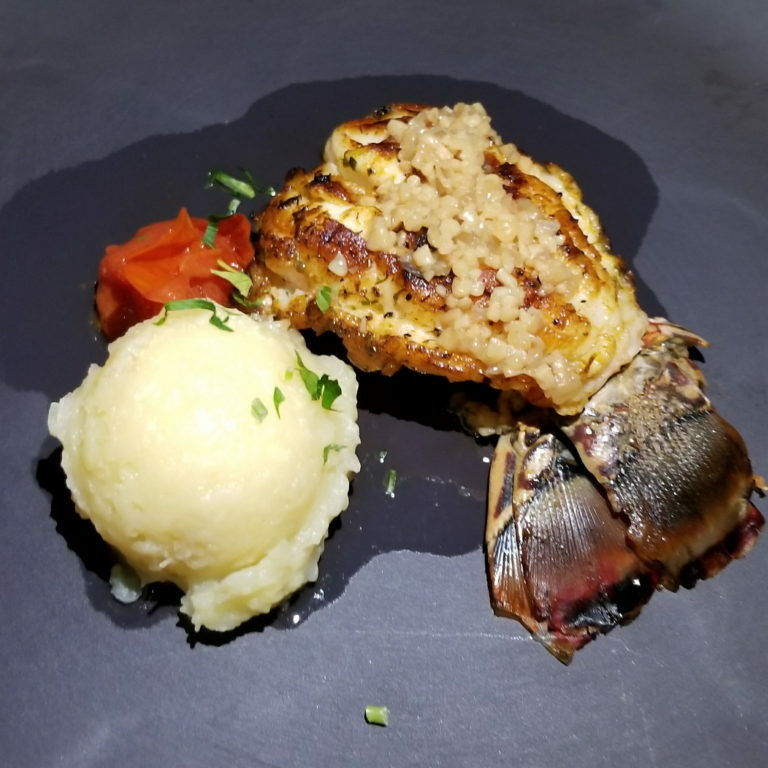 Their ‘Lobster House’ restaurant served enormous lobster tails, delicious seafood pasta, crunchy fried shrimp and creamy bisque. We also enjoyed various seafood ceviches for breakfast at the buffet! 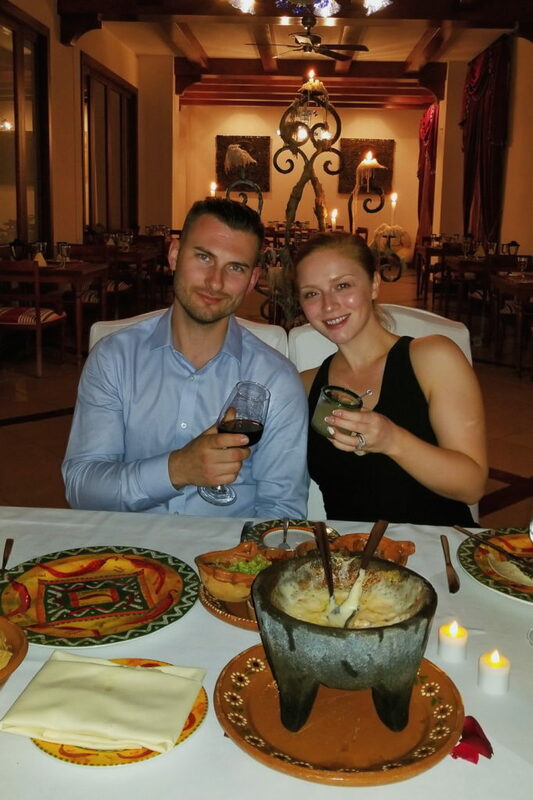 One of the most special nights was our visit to the Mexican Agave restaurant for authentic Mexican cuisine! 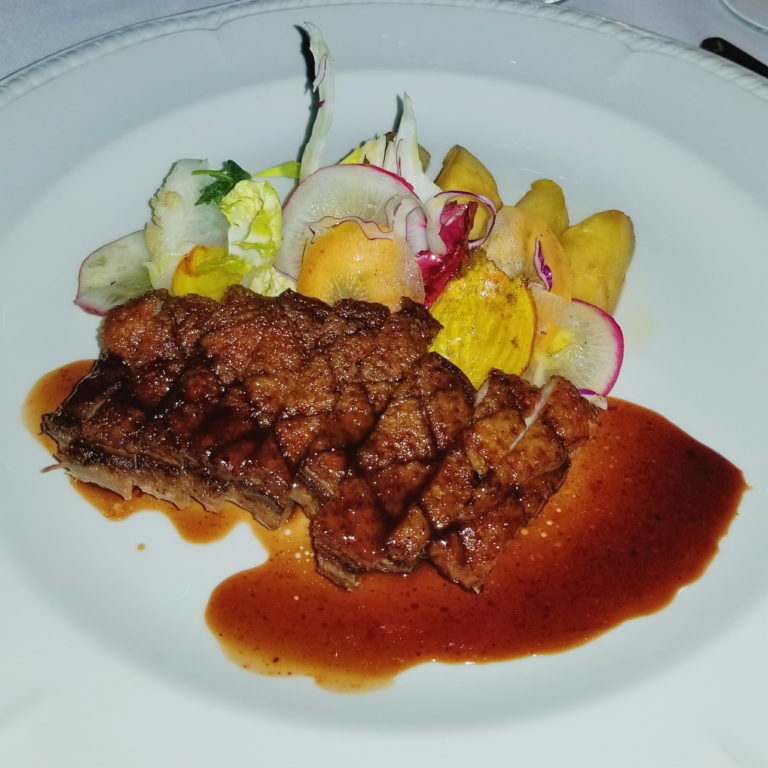 Our concierge, Adrian and the food manager, Nelson, arranged for us to have a phenomenal private evening with a table-side chef who served us the most delicious food! 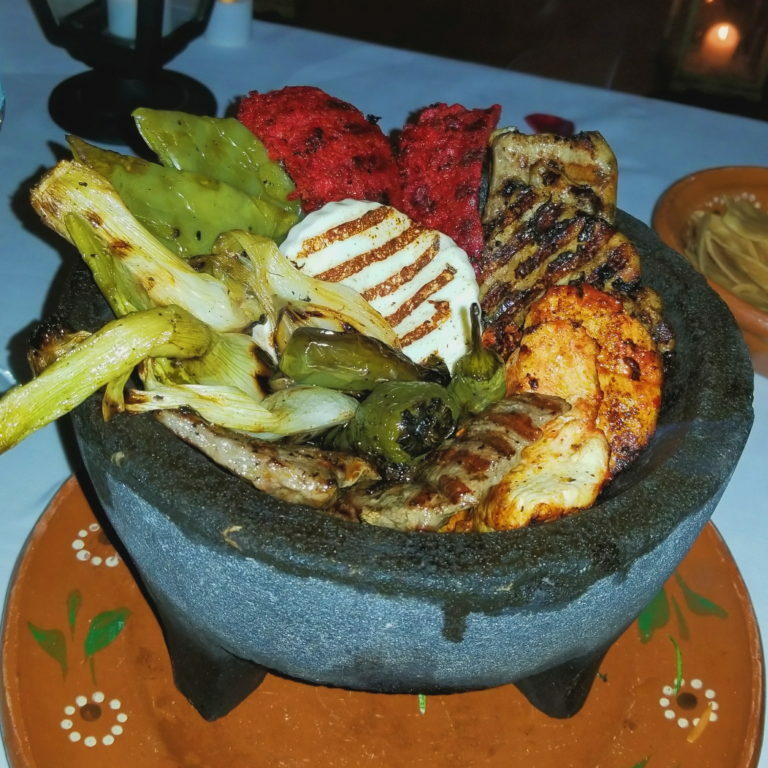 That’s a lava rock pot filled with melted cheese, served with warm tortillas – finger licken’ good! We also really enjoyed their Indian restaurant, Basmati. The interior is cozy and well-appointed with themed lights and decor. And the food – truly authentic Indian! We ordered chef’s choice and were served a variety of different appetizers and a large sampling of the different meats and sides dishes. Our room was well-maintained, well-appointed, spacious and the ocean-front view was simply incredible! I just wish I could wake up to the view everyday. 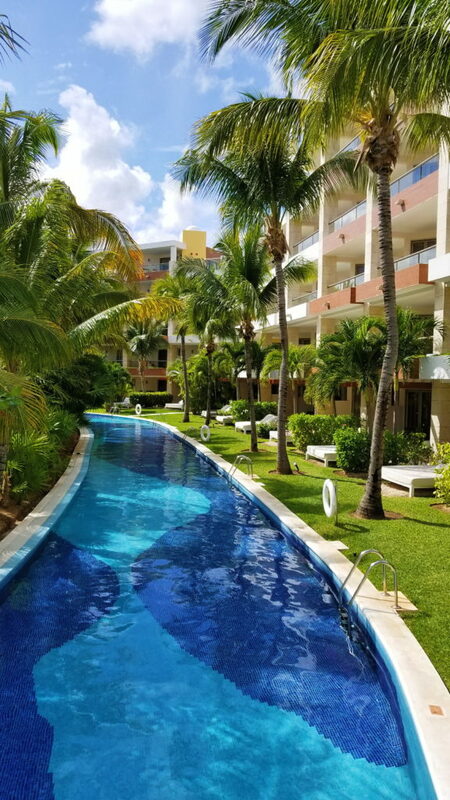 We booked an Excellence Club two-story terrace room and loved it! The additional lounging space and private pool upstairs was our private little oasis. We will definitely book an Excellence Club room again – we loved the extra perks like the club lounge, the excellence beach with the private concierge, excellence club pool with bar, full-sized top-shelf liquors in-room, and many other specials like personalized evening snacks brought straight to our room! We were completely spoiled every day! 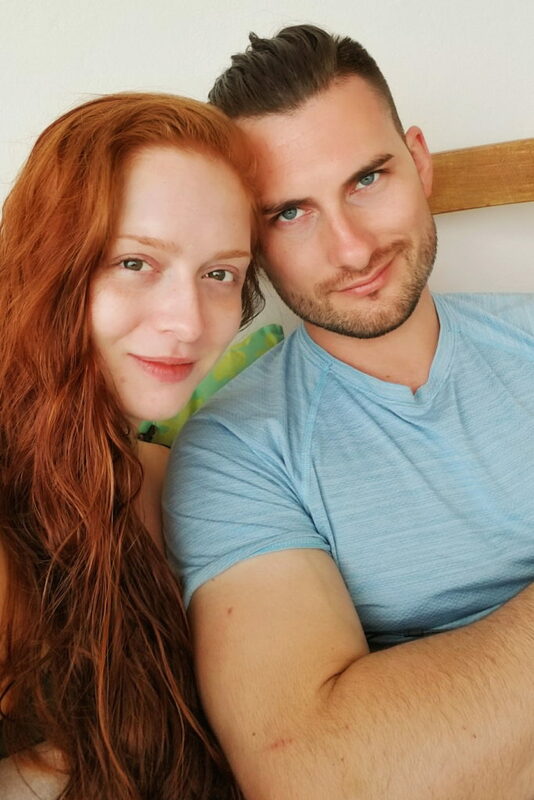 Relaxing with this handsome man all day, every day! No makeup and carefree hair – those are the days! Besides the beautiful beach (where we spent most of our time! 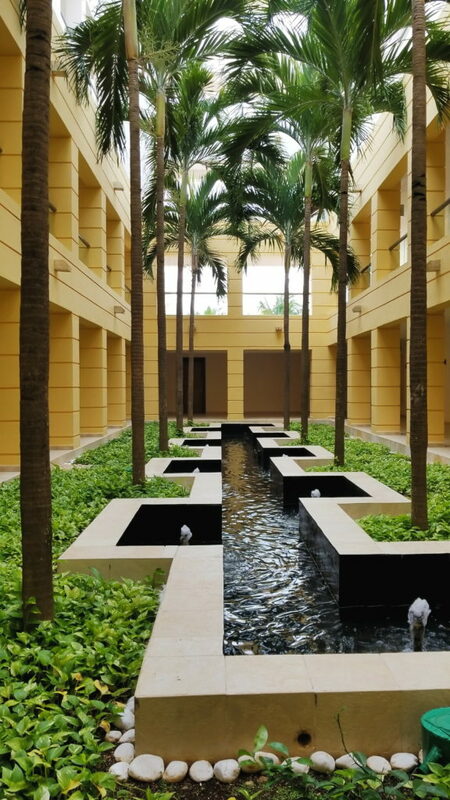 ), the resort grounds are impeccable, with lush palms, green grass and loads of floral bordering clear blue pools. There was plenty of secluded, private sitting and lounging areas to relax and unwind. 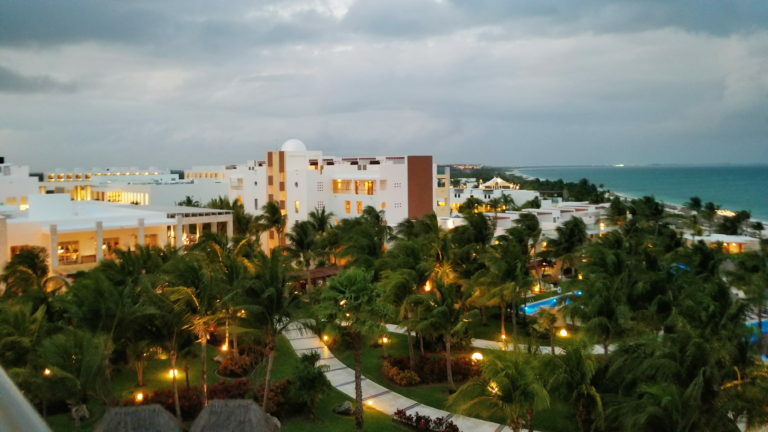 This was our daily evening view of the resort – so serene! And, if you’re up for some adventures, there are plenty right on the beach! 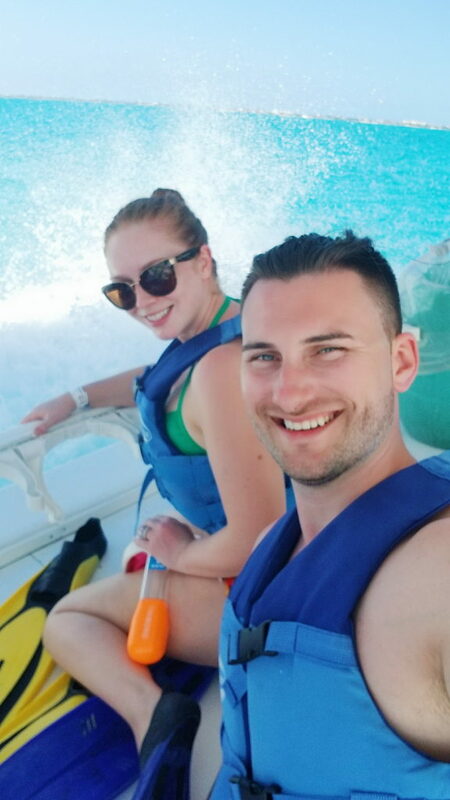 The jet skis were super fun and we also enjoyed some deep-water snorkeling, just a 20 minute boat ride away. And for our last evening, we received this personalized dessert! 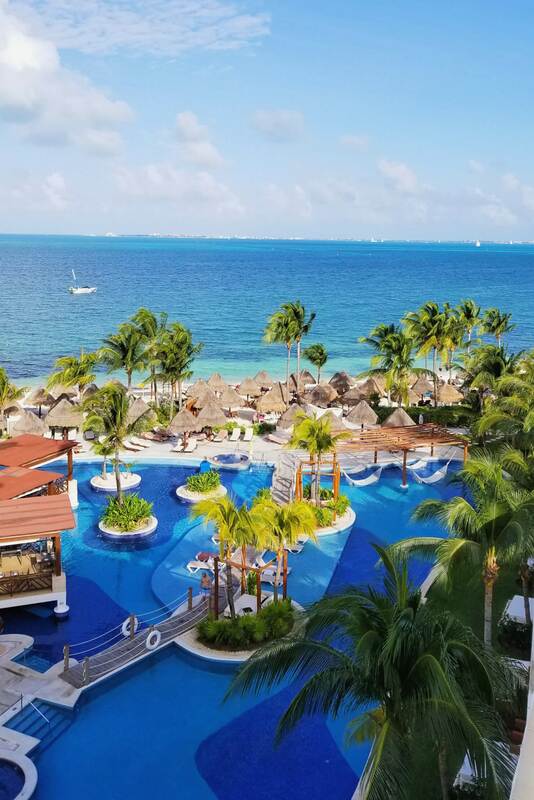 I want to personally extend a huge ‘thank you’ to our Excellence Club concierge, Adrian who took the time to make sure our visit was perfect! Also, a very warm ‘thank you’ to the food and beverages manager, Nelson. Thank you for arranging our dining experiences; we are looking forward to coming again soon! 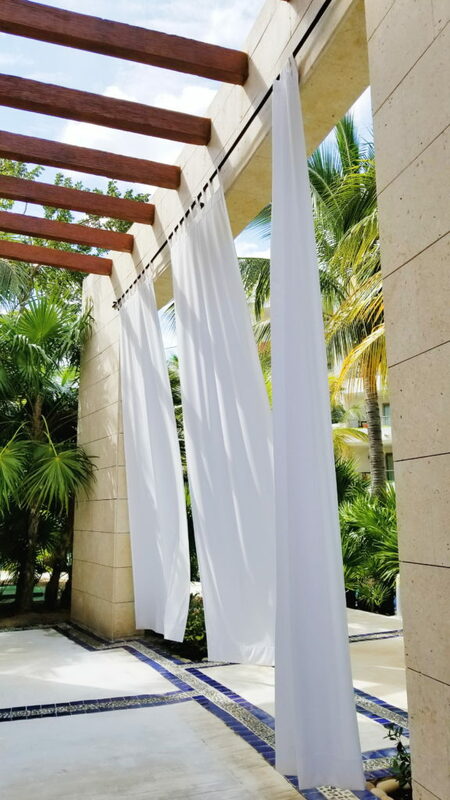 Excellence Playa Mujeres, we’ll be back soon! Loved your review! So tempted to book our next trip! Would you mind sharring were you went about booking your trip and if not too personal how much the trip cost you with the upgrade? I’m so glad you enjoyed the review! The hotel was simply incredible! 🙂 I booked a package deal through Expedia, they had a deal where if you book 10 nights, the flight was practically free. The upgrade to the two-story room was $200 per night, compared to their cheapest room. 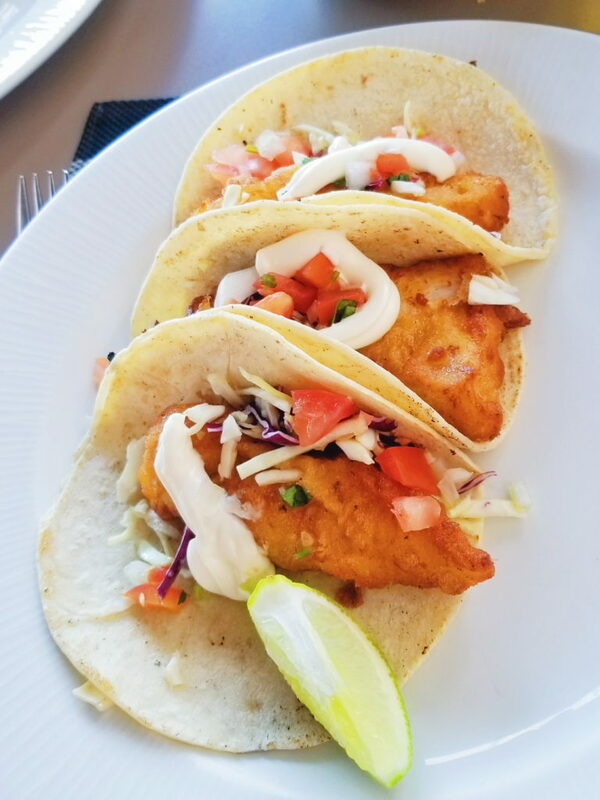 Thank you for sharing your experience, I’m always looking for a nice all inclusive that serves good food! So beautiful! Definitely would love to go there for our 10th wedding anniversary! 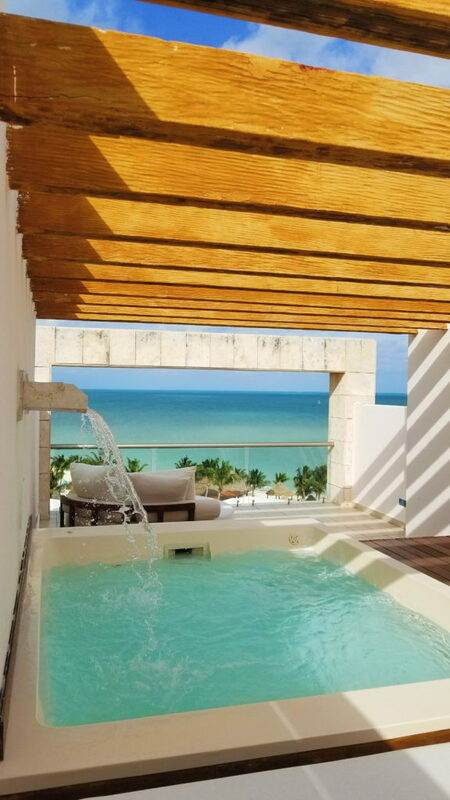 Since you travel to Mexico, try Hideaway at Royalton (diamond club). We loved it, traveled in 2016. This hotel would be perfect for such a special anniversary! 🙂 I’ll definitely check that one out, too! Thank you!!! Definitely looking forward to this much needed vacation! 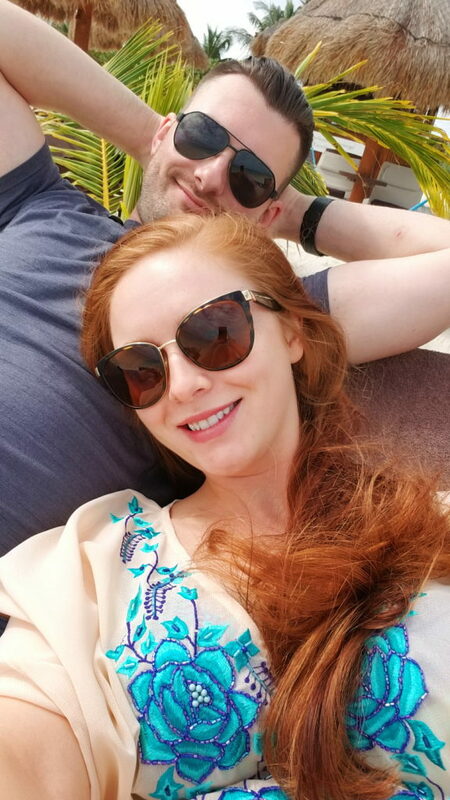 8 Year Anniversary in Mexico!